By Clemente Lisi – NEW YORK, NY (Dec 3, 2018) US Soccer Players – It isn’t so unusual to see former players now coaching some of the best teams in the world. Zinedine Zidane went from World Cup-winning attacking midfielder for France to helping Real Madrid capture three consecutive Champions League titles as their coach. He isn’t alone in making the transition from elite player to elite coach. Some of the latest elite players-turned-coaches include Zidane's former France and Juventus teammate Didier Deschamps, Pep Guardiola of Spain, Diego Simeone of Argentina, and Italians like Carlo Ancelotti and Antonio Conte. The announcement Sunday of Gregg Berhalter’s appointment as coach of the US National Team again thrust into the spotlight up-and-coming coaches. A former defender, Berhalter is 45 years old and retired in 2011. Look at this year’s MLS Cup final. Atlanta's Gerardo “Tata” Martino played as an attacking midfielder from 1980-96, primarily for Argentine club Newell’s Old Boys. Portland's Giovanni Savarese was a striker with the New York/New Jersey MetroStars from 1996-98. Both Martino and Savarese have proven to be better coaches than players. While the question remains whether an American will ever coach a top European club, there are plenty of Europeans who played in America who are breaking in as coaches across the Atlantic. Over the past year, we've watched a new generation of coaches emerge. That includes former MLS stars Thierry Henry, Steven Gerrard, and Frank Lampard. While Henry, Gerrard, and Lampard played in MLS with very different degrees of success, their time stateside a few years ago could very well come in handy as they try to navigate the rough waters of what it’s like to succeed as coaches in Europe’s hyper-competitive environment. A leader on the field during his Arsenal and Barcelona days, Henry was also a key presence with the New York Red Bulls. Although he was unable to win an MLS Cup, Henry was inspirational to the younger players. Under coach Jesse Marsch, he became one of the league's most-successful Designated Players. How does playing in MLS translate into coaching in Europe? There are several similarities and takeaways depending on the situation. Henry needs to motivate his players much in the same way he did as a player with the New York Red Bulls. Over the summer, Henry served as an assistant to Belgium coach Roberto Martinez at the World Cup, where the Red Devils finished fourth. Again, the former France striker was key in helping with player morale and regularly scrimmaged with them, looking more like he was in his early 30s rather than 41 years old. In October, Henry took on his first coaching gig for a pro club, signing with AS Monaco of France. With the club stuck in 18th place and facing relegation, the inexperienced Henry took over a difficult situation. Fans greeted his arrival with mixed emotions. Some saw it as a sign of good things to come. Others feared his inexperience as a coach could result in a bad situation getting worse. It's an interesting point for a club potentially facing a relegation battle. Henry was too good of a player to end up in one of those in Europe, and it's a scenario foreign to MLS. However, a playoff system does create the need for a series of must-win matches. In that regard, Henry knows what that kind of pressure means. While Monaco battles at the bottom of the table, Gerrard, named manager Rangers earlier this year, faces the Scottish Premier League’s perpetual battle against rivals Celtic. The club also has aspirations of reaching the knockout stages of the Champions League, a major step for a Scottish club. The riches attached to going far in Europe’s top club competition is the pressure the former Liverpool and Los Angeles Galaxy player faces. While Rangers dominate the SPL, it's their European scenario that's familiar territory. Gerrard's Liverpool found success against the odds in Europe. When he made the switch to MLS, things got difficult. Gerrard’s time in MLS was the beginning of the Galaxy's downturn. Like Henry, he never won an MLS Cup. The former England international only lasted 18 months in Los Angeles after joining the team in July 2015. There was some quibbling in that Galaxy-produced news release. The use of the phrase “countless memorable moments” never actually happened as the Galaxy tried to rebuild, a process that remains a work-in-progress to this day, following the successes the team enjoyed when Landon Donovan, David Beckham, and Robbie Keane formed the team’s core. Frank Lampard now coaches Championship side Derby County. The ex-Chelsea and England midfielder enjoyed plenty of success in Europe, but not in MLS. 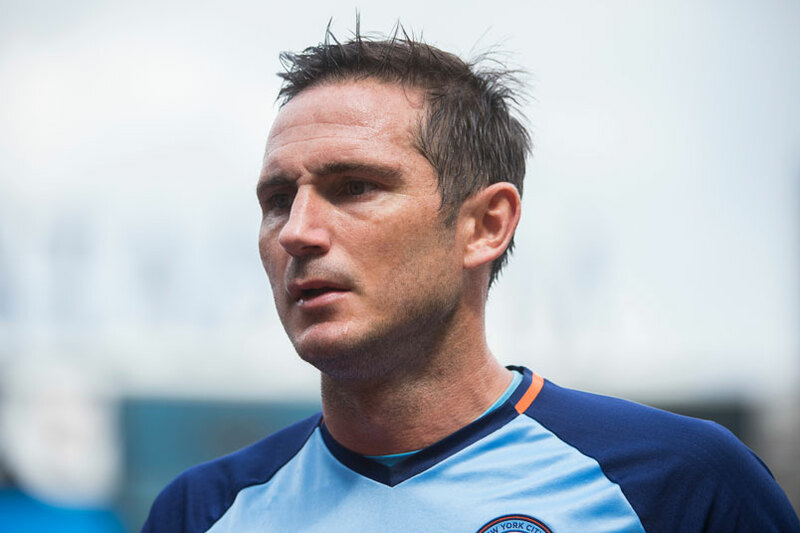 Lampard played with New York City FC the same two seasons Gerrard was in L.A. The results weren’t that different, although he did become a fan favorite at Yankee Stadium. Lampard also has MLS Cup experience, something that could prove helpful should Derby County contend for promotion. The team is in a four-way tie for 4th-place and still very much in the race for a Premier League spot. Martino and Savarese have a chance this week to lift MLS Cup. For our three former MLS stars, the questions is whether or not their impressive playing resumes translate to success from the sidelines.